Buying a pony for a horse loving child is something every parent considers at some point. If you have thought through the pros and cons and decided that it is time to buy your childs first pony, always make sure to choose a suitable and safe ride. The key to buying a pony is to look for a range of things in the ponies available. The best first ponies are mature and should have a lot of experience in different things. They should also be safe and calm as children often make mistakes and can be intimidating to a hot-headed horse. 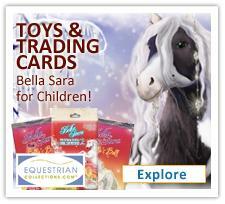 Your childs first pony does not have to be pretty. Many parents make the mistake of buying an adorable young horse which is completely unsuitable for children. Mature ponies might not live as long but they do not require an experienced rider to train them manners. Another common mistake is to buy a pony that does not match your childs size. Many parents would like the pony to last for years even when the child has grown but too big a pony is harder to control and can be too unpractical to look after. If you are going to look at possible first ponies, you should leave your child home on the initial visit. Children get attached to animals and do not realize the characteristics a good pony should have. It is a good idea to bring a trainer or an experienced horse owner with you to ensure no one will try to scam you. Once you have found a suitable pony, it is time to get a certified vet to perform a full medical examination. This is very important to determine any costly illnesses and to avoid the heartbreak of having to put the pony down due to some underlying condition. Buying your childs first pony requires careful planning and objective view to any ponies available on the market. Getting the right first pony will bring your child many happy experiences and build his or her confidence for new challenges.